AFDO is governed by a Board of Directors and managed by the Chief Executive Officer. Members of our Board of Directors are elected from nominees within not-for-profit disability organisations that are full members of AFDO. The Board can also appoint two individuals on the basis of their skills and experience. All AFDO Board members are required to be people with disability or have a lived experience of disability, with the exception of co-opted Board members appointed by the Board of AFDO for their specialist expertise. 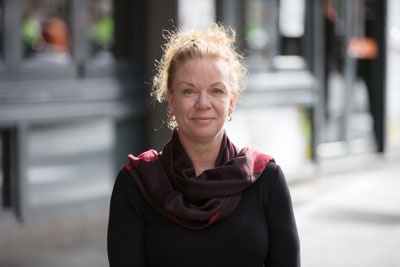 Liz has more than 25 years’ experience in the community, disability and social justice sectors. And she has dedicated her career to helping others find equal opportunities to participate fully in their communities. Liz is the Executive Officer of YouthWorX NT, a not-for-profit organisation committed to partnering with Territorians to support their lifelong social, economic and career success. She is responsible for the management of diverse programs, including life and career coaching, and the delivery of services to support employability skills. Liz administers the overall operation, strategic development and corporate health of the organisation. Prior to YouthWorX NT, Liz worked for 10 years as the National Disability Coordination Officer (NDCO) for the Northern Territory. This role provided information, coordination and referral services to increase and improve transitional pathways for Territorians with a disability. Liz is the current President of Physical Disability Australia (PDA), a member of the City of Darwin Access and Inclusion Advisory Committee, and a member of the National Disability Insurance Agency Independent Advisory Council. Trevor Carroll is Executive Officer of Disability Justice Advocacy. He has a M Ed in Disability and currently manages a team of disability advocates funded by the Department of Social Services. He is a former secondary school Principal and TAFE lecturer in Disability and Community Services and was a member of the Board of the Aids and Equipment Action Alliance from 2010-2013. He is a member of the Disabled Peoples International (DPI) Board of Directors and is the DPI Asia-Pacific Chairperson. Trevor is also the Campaign Spokesperson and the Secretary for the Respite Alliance Whittlesea (RAW) and is the current Secretary and a founding member of the Friends of South Morang. He is also a trustee of an ASIC regulated superannuation fund and a member of the Victoria Police Disability Portfolio Reference Group. 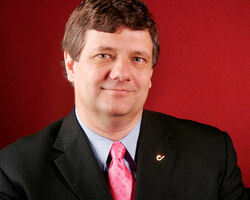 Trevor was the Co-chair of the VEOHRC Disability Reference Group for 2010-2014 having been elected for four consecutive two-year terms as a member of the Reference Group. He is also a member of the Whittlesea Disability Network, Disabled Motorists Australia, Independence Australia, and Meniere’s Australia. Trevor is also a volunteer mentor with the Australian Quadriplegics Association. He was a 2016 nominee for Australian of the Year. Janine was 35 weeks pregnant when she experienced sudden onset of Acute Transverse Myelitis in 1996, rendering her quadriplegic. Following the birth of her son and 6 months of hospital rehabilitation, she returned home to her family to challenge the WA Government for essential funding to enable her family to stay together. Following receipt of permanent funding, Janine could continue to lead her life in her community. Janine has personally focused on health and physical rehabilitation since hospital discharge whilst navigating an opaque, complex and compartmentalized system of services for people with disabilities. Staying healthy and active has resulted in Janine never being admitted to hospital since her discharge from the Spinal Unit in 1997 as well as continuing to achieve functional improvement. She is passionate about maximising opportunities for people with disabilities as well as supporting individual and systemic advocacy. She serves as Treasurer of People with Disabilities WA and is a committee member of ACROD and Companion Card External Appeals in WA. Frank has a disability called familial peripheral neuropathy. 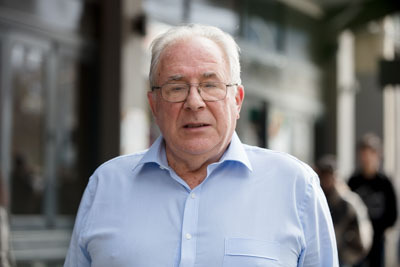 He lives in Melbourne and has been involved in disability empowerment for the last thirty years. Over this time, he has been employed in the Equal Opportunity Unit of the Australian Public Service Board (nine years), as Coordinator of Disability Resources Centre (nine years) and as a Disability Officer at Centrelink (15 years). Since the International Year of Disabled Persons in 1981, Frank has been at the forefront of disability rights in local, state, national, regional and world organisations, particularly through Disabled Peoples’ International (DPI). For 20 years he has worked closely with the United Nations in Bangkok as an invited expert. More recently, he has been an active member of the International Disability Caucus and contributed to its work on the United Nations’ Convention on the Rights of People with Disabilities in both Bangkok and New York. 2012 – Selected by the UN Economic and Social Commission for Asia and the Pacific (ESCAP) as one of 10 Asia Pacific Disability Champions to promote the Incheon Decade Strategy and Goals. Today, Frank continues to be involved at an international level through DPI and the International Disability Alliance. At a national level, he is involved with AFDO and the Australian Disability Development Consortium, and is the Chairperson and founder of the Australian Disability and Indigenous Peoples Education Fund. At a state level, Frank is Chairperson of the Disability Resources Centre and continues to be involved in disability reference committees with the Victorian Equal Opportunity Commission, the Office of the Public Advocate, and his local Yarra Council disability advisory committee. Nick Rushworth has been Executive Officer of Brain Injury Australia since 2008. He was also President of the Brain Injury Association of New South Wales between 2004 and 2008. In 1996, Nick sustained a severe traumatic brain injury from a bicycle accident. Before joining Brain Injury Australia, Nick worked for the Northern Territory Government setting up their new Office of Disability. Formerly a producer with the Nine Television Network’s Sunday program and ABC Radio National, Nick’s journalism has won a number of awards, including a Silver World Medal at the New York Festival, a National Press Club award and a TV Week Logie Award. 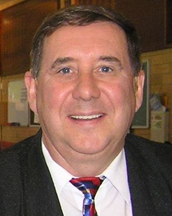 John’s career has included appointments as Executive Officer with Blind Citizens Australia and Radio Print Handicapped (RPH) Australia; National Program Manager for the Lions Eye Health Program; and five years as National Manager within Vision Australia’s Accessible Information Solutions Division. In this role he managed the Audio Description Service, Vision Australia Radio and the Division’s broader operations at various times. Alongside these appointments and his ongoing Directorship with Information Alternatives, John has undertaken many research and project management assignments to address the information needs of people with a print disability. Deputy Chair of Euroa Health Inc.
Debbie Kennewell is a South Australian representative from Deaf Australia. As a Deaf person, Debbie primarily uses Auslan to communicate. Debbie comes from a family with three generations of deafness. Before joining Deaf Can:Do as Client Services Manager in Adelaide, Debbie worked in Jamaica for seven years as a Training Officer for the Jamaica Association for the Deaf. Debbie holds a Bachelor in Education and a Diploma in Interpreting (Auslan/English) and is currently studying Early Childhood Education/Disability Studies at Flinders University. Richard is the Chief Executive Officer of Leadership Victoria and a Fellow of the Australian Institute of Company Directors, Williamson Community Leadership Program, and Harvard Club of Victoria. 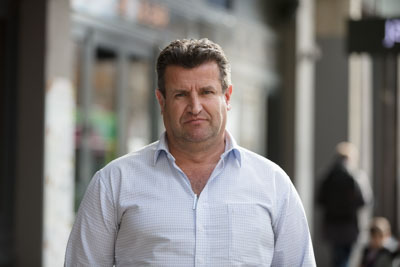 He has been involved in disability services since 1993, where he worked in a UnitingCare agency, followed by roles at the Victorian Council of Social Service (VCOSS) and CEO of The Tipping Foundation for 12 years. Richard was a significant contributor to the NDIS campaign as part of the Premier’s NDIS taskforce. He has also filled the roles of Chair of the Victorian Every Australian Counts Campaign and as Victorian Chair of National Disability Services. In Richard’s current role as CEO of Leadership Victoria, he helps to develop leaders so they can make progress on complex issues. He also helps broker skilled leaders to support social, economic and environmental causes. 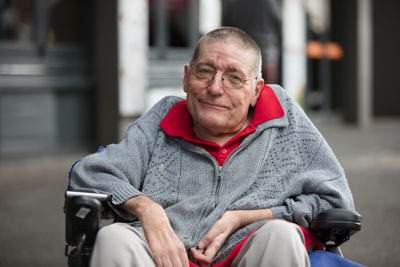 Richard maintains an ongoing involvement in disability issues. 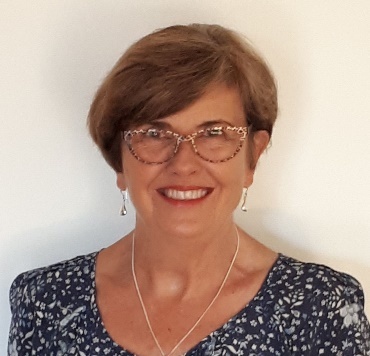 Christine is President of Hearing Matters Australia Inc (formerly SHHH Australia Inc), a volunteer based hearing support organisation for people with hearing loss. Christine has lived with hearing loss since early childhood. After obtaining hearing aids in her early 30’s she was able to pursue tertiary studies, achieving Bachelor’s and then Master’s degrees in Education. Christine worked as a secondary school teacher for 22 years, including as a Faculty Head for seven years. Upon retiring from teaching in 2012, Christine became actively involved with SHHH Australia as a volunteer. She provided advice and peer support to people who contacted SHHH and did outreach presentations on hearing loss education and management to interested groups. In early 2015 Christine was nominated to join the SHHH Board and was elected President in 2016. In her role as President, Christine has continued to promote the twin missions of Hearing Matters Australia through its advisory & supporting role to its members, consumers and others who seek assistance to best manage hearing loss, and its advocacy on behalf of people with hearing loss. Her advocacy activities have included representations to Australian Government Committees and Inquiries with the objective of having hearing health recognised as a priority health issue. Christine also represents Deafness Forum on the Transport for NSW Accessible Transport Advisory Committee. Outside of her Hearing Matters Australia role, Christine is active in her community including as a Director of her local service club and as a teacher of textile arts. Felicity Crowther is the Manager & Project Leader of the South Australian Council on Intellectual Disability (SACID), an organisation who works towards achieving a community inclusive of people with intellectual disability. Felicity is a qualified Developmental Educator having completed a Bachelor of Disability and Community Rehabilitation with Honours. Since completing her studies Felicity has worked in a range of positions in the disability sector including service development, project management and service management roles. Felicity is passionate about supporting people with intellectual disability to have a voice within their community. In both a professional and voluntary capacity, Felicity has assisted with the development of self-advocacy programs and supported individual people with intellectual disability in their self-advocacy roles. This passion for supporting people with intellectual disability has led Felicity to undertake a PhD in the area of inclusive research. 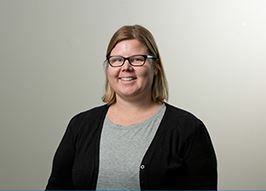 Felicity also enjoys sharing her knowledge, experience and passion with students through tutoring at Flinders University in the Disability & Community Inclusion Unit.